LAHORE: Accountability Court on Thursday ordered NAB to confiscate property owned by Ali Imran Yousuf, the son-in-law of PML-N President and former chief minister Punjab Shahbaz Sharif. Accountability Court Judge, Muhammad Azam was hearing the petition filed by National Accountability Bureau (NAB). NAB prosecutor Hafiz Asadullah presented details of the property owned by Shahbaz Sharif's son-in-law. 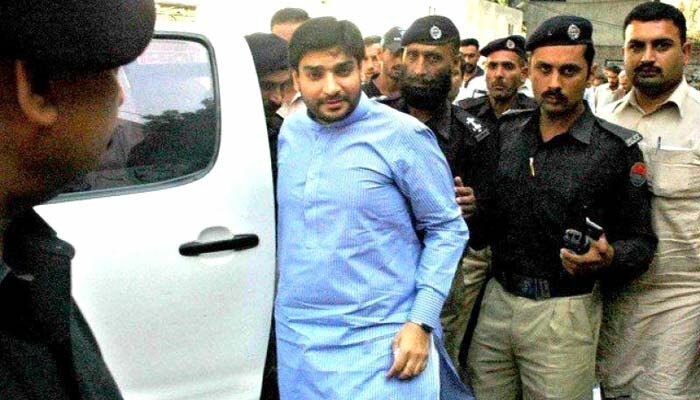 Ali Imran is accused of taking Rs13 million in bribe from chief financial officer (CFO) of Punjab Power Development Company. Ali Imran failed appear before the court despite summon and escaped abroad.